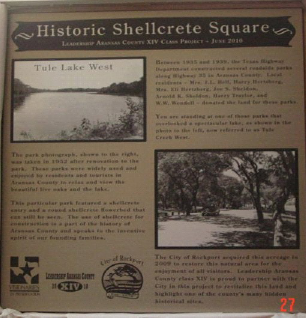 Visionaries in Preservation (VIP) members researched, wrote and funded the first of the new heritage signs that was placed at the Historic Shellcrete Square located on HWY 35 near Tule Creek. 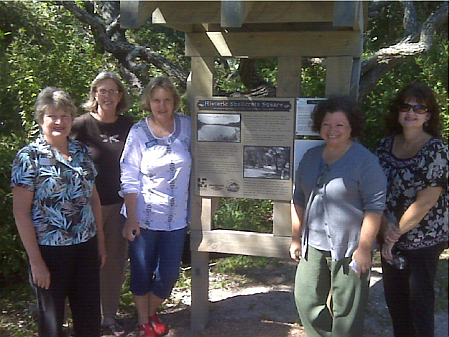 This project was done with the City of Rockport and Leadership Aransas County Class XIV. In the future, additional heritage signs will be placed to display information on Rockport's Grand Hotels, Wharves and Pavilions, The Old Beach Road, The Packeries of Rockport, Shipyards in Rockport, The Old Courthouse, Rockport's Harbor and Seafood Industry.